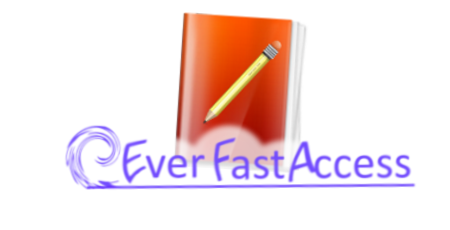 Because it is specialized for Windows and focused on intuitiveness, EverFastAccess offers features you won't find anywhere else. EverFastAccess boosts your productivity and simplifies your computing life with a single movement of the mouse. Take notes, set reminders and save contents and links from anywhere on your desktop in one second, without even thinking. Capture your thoughts and remember to make that call in seconds. Stay organized and document anything automatically. Tired of trying to remember anything on anything? Fed up looking for your notes or trying to organize them properly? With EverFastAccess you will finally be at ease with your computing environment. Take notes on everything the fast way. 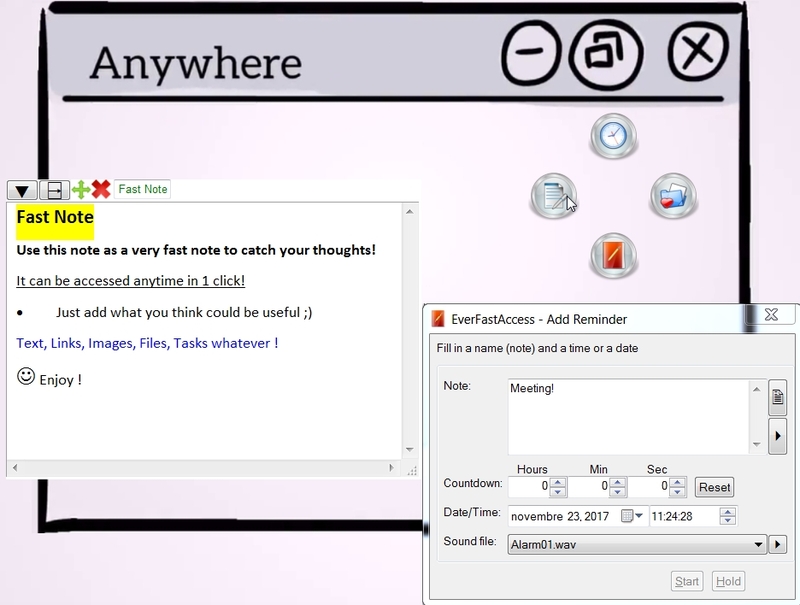 Create or access notes and reminders from anywhere in your computer with 1 simple movement of the mouse. Customize your own subjects (movies, travels, projects, ...) or use pre-defined smart notes. 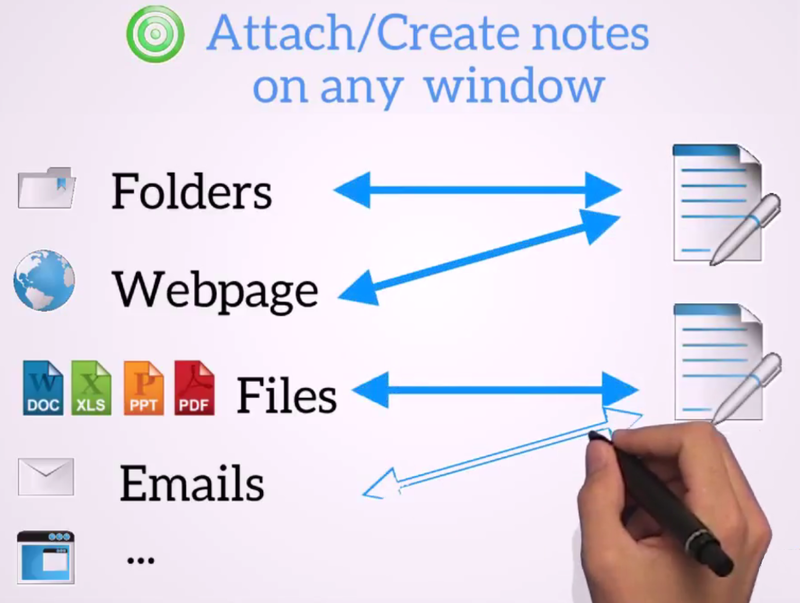 Attach notes to any window or document, namely: files (Word, Pdf, Excel), folders, webpages, websites or software. 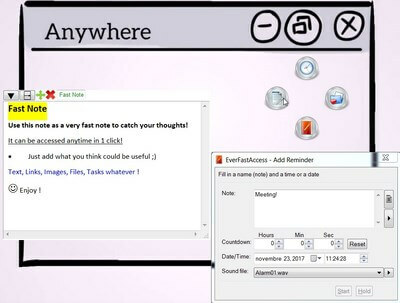 Access back your note anytime from the same window in 1 click. 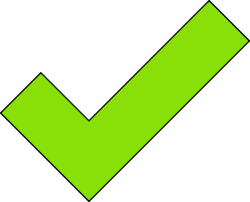 Send any selected part of a webpage or a document and its source directly to your notes in 1 click. Just extract the archive and start the program. Do not need admin rights. Interactive and fun tutorials to master it in a few minutes. Put it on a usb stick and use it from any computer. Get fast and easy updates for more features and improvements. All features you need but not more. Ultra-fast. Notes are compatible with standard editors. 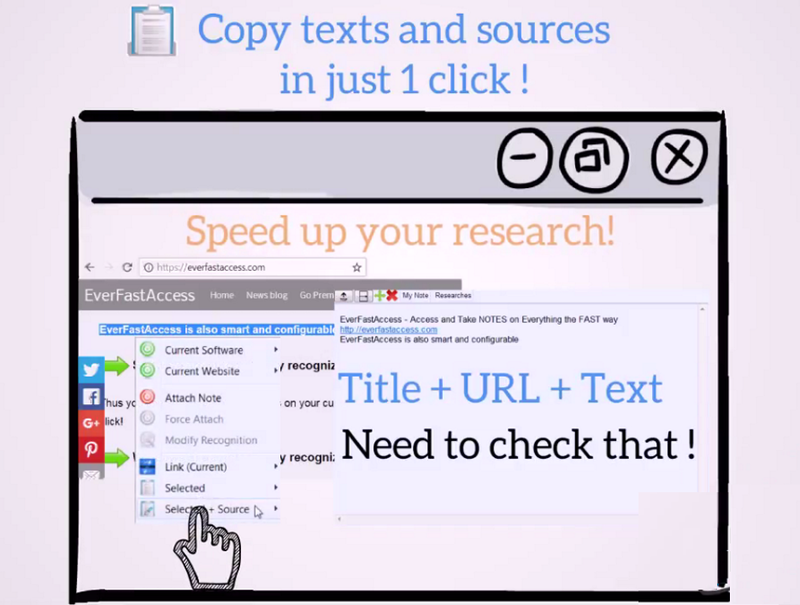 Copy, edit, share or even print them anytime very easily. 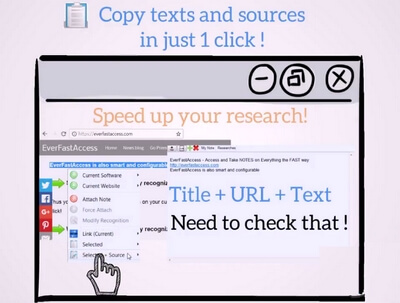 Send texts and sources to your other editors such as Evernote™ and Notepad™ in one click! Notes are compatible with standard text editors such as Word™ and Open Office™. Join our newsletter so we can notify you of our productivity tricks & other news. We will never spam : we cherish your trust.